GOOK follows Eli and Daniel, two Korean American brothers that run their late father’s shoe store in a predominantly African American community of Los Angeles. These two brothers strike up a unique and unlikely friendship with an 11-year-old African American girl, Kamila. As Daniel dreams of becoming a recording artist and Eli struggles to keep the story afloat, racial tensions build to a breaking point in L.A. as the “infamous” L.A. Riots break out. 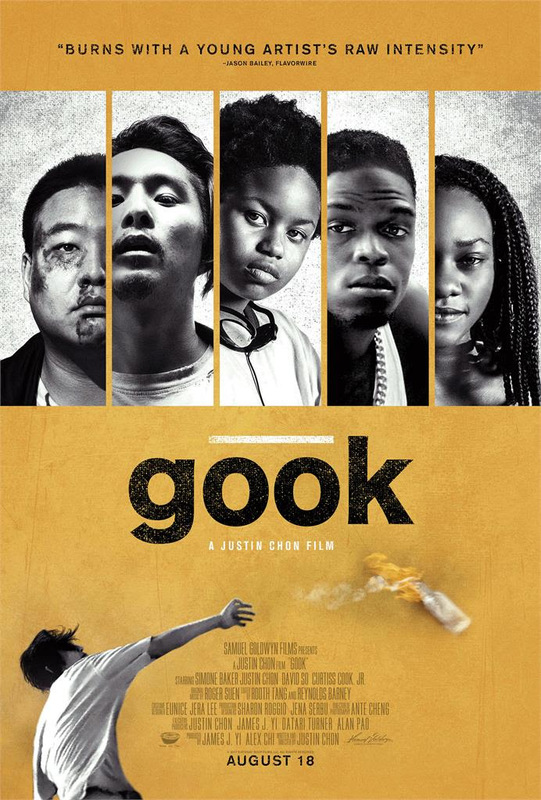 GOOK opens in Los Angeles August 18th and in NY and other cities on August 25th.